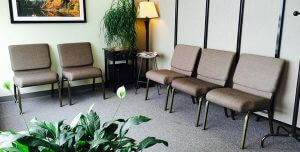 At Advantage Therapy, we want to maximize your time with us. Prior to your first visit, please print and fill out the new patient forms below. Please bring these with you to your first visit along with your insurance information and photo ID. Per Missouri state law, we must have a copy of your doctor’s written referral prior to your first appointment. Not sure if your referral has been sent? Just give us a call at 417-889-4800. We’d be happy to check! Should you need a copy of your medical records, or if you wish for your records be sent to another office, please print a Release of Information. We must have a signed release on file before we will take action to send medical records. These forms are included in the New Patient Paperwork above. All law offices, or other medical offices, can fax medical records requests to our main fax line: 417-889-0980. Requests will be handled in the order in which they are received. Our goal is to provide timely attention and turn-around for all medical records requests.